The early bird gets the upfront. Transform the traditionally “insider” TV upfront into an interactive fan-facing live event for all of the NBCUniversal brands. Raising the bar after our 2015 inaugural NBCUniversal Social Lounge, we worked with NBCUniversal to eventize, activate and maximize Social Lounge content. We crafted three unique plans of attack: a main stage, a premium photography studio, and an interactive station. All three elements were hosted on a set at the plaza in Rockefeller Center before the official upfront presentation began. NBCUniversal was poised to kick off the social conversation, and even more importantly, they were poised to own the upfront conversation. At the main stage, we scripted, produced, and live-edited hilarious videos for Facebook. The chic and popular E! News correspondent Zuri Hall hosted, asking cheeky questions, playing raucous games, and having an all-around rollicking good time. 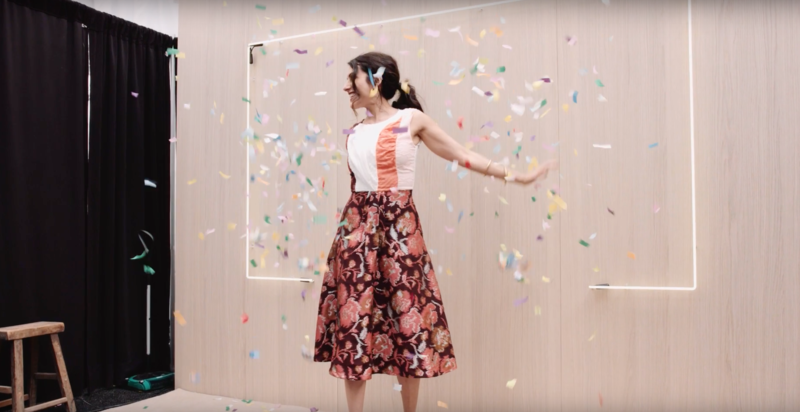 Confetti flew in the premium photography studio where both stunning images and spectacular GIFs were captured for Instagram. The phenomenal photographer, Julie Holder, put talent at ease; they let loose, revealing their personalities and generating casual and candid content. And the interactive station, built for the social frontiers of Snapchat and Facebook Live, was a non-hosted space where the talent themselves drove content for an entire 90 minutes post-red carpet. Fans. Went. Wild. The Social Lounge debuted on the first day of the broadcast upfront week, positioning NBCUniversal as the leader in the social conversation. They literally crushed the competition. Rolling out content that morning and throughout the afternoon, the Social Lounge sustained astounding engagement levels. At the end of the day – and before the upfront – the campaign truly succeeded in creating a real-time conversation with the social audience.